It’s early in the morning, almost 6 am. My mother wakes me, she says ‘sleeping on such a day! ?’ As the kids come and irritate me, I see them all dressed; they all have brand new clothes on, full of colour, I even spot my little nephew with his jamadany around his neck. As I get up and exit my room, I suddenly see that the house is in a state of chaos. Children everywhere, my siblings running around trying to catch the little ones, to me its all hilarious. As I finish my breakfast of mast (yogurt) and chai (tea), I finally get up and try on my clothes; I haven’t worn this in some time now, so it kind of feels weird to me, my Kurdish traditional clothes. So now I am ready and I begin to help the others put what seems like a million things into the cars that are parked outside the house; everything has already been distributed, so everything I seem to do is wrong. The minute I stepped outside, I thought to myself – this is just too early, I take a look around my neighbourhood and realise that my house isn’t the only one full of chaos at 6am. Finally, in-between my older brother’s complaints about how late we are and my mother’s ordering about, we are finally ready to go. As we approach the inner ring high way of Hawler, I experience a view I have never seen before, everybody wants to get out of the city. As everybody is demotivated by the scene, my brother calls me from the other car asking to follow him, I start to drive behind him. Street to street, we end up to the exit of the city, the road to Shaqlawa is almost totally blocked, cars driving as slow as turtles run in cartoons. There is nothing worse than being stuck in traffic, but this was something else. You hear nothing but music coming from the cars, at the side-line of the highway people just come out and start dancing, others join them. I was really tempted to go, but then the line started going a little forward, we spent about an hour in traffic before exiting the city’s checkpoint. After the checkpoint is where it begins, in every valley, on every hill, you see nothing but people setting up their own picnic place and cleaning up their surroundings. It’s a sight for sore eyes, people are just happy, they smile, be friendly, play music, some dance while others prepare something to eat. The flag of Kurdistan is seen on every car, in the hands of everyone that has the Sarchopi of the Halparke and painted on every stone of the mountains. It’s like a festival but the whole country is participating. That day was 21th of March 2012, my first Newroz in Kurdistan after 15 years. On the 21th of March each year, the first day of spring, starts the new year of the Kurdish people. This year would be 2714. The legend of Newroz began with the story of the tyrant Zahhak. 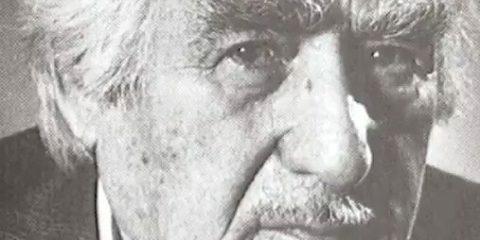 A poetic tale of how Kawa rescued the Kurds from his tyranny. “After the death of the great Persian King Jamshid, the tyrant Zahhak usurped the throne and established a reign of terror. Besides being cruel by natural inclination, he suffered from a strange disease that made him even more of an oppressor. Two Snakes grew out of his shoulders and caused him severe pain, which could only be alleviated by feeding the snakes human brains each day. So every day Zahhak had two young persons killed and their brains fed to the snakes. The man charged with slaughtering the two young people taken to the place each day took pity on them and thought up a ruse. He killed only one person a day, replacing the other by a sheep and mixing the two brains. One young person’s life was thus saved every day; he was told to leave the country and stay hidden in distant inaccessible mountains. The young person’s thus saved gradually among themselves and brought forth offspring. These people were named Kurds. Because during many years they evaded other human company and stayed away from the towns, they developed a language of their own. In the forest and the mountains they built houses and tilled the soil. Some of them came to own property and flocks, and spread themselves over the steppes and deserts, which they called Kurdistan, Land of the Kurds. But after years of hiding, a black smith named Kawa revolted against the tyrant. Than one day they marched to the castle of Zahhak, where Kawa killed him with his hammer. That day become Newroz, a day of new beginnings”. From the Sharafname, a history of the Kurdish tribes, by Şerefxanê Bedlîsî in 1597. Newroz has been recognized by not more than a handful of countries and recently added to the UN cultural heritage. The Tradition of Newroz is also celebrated by other cultures, but to their own interpretation of it. The heritage of Newroz dates back to the time before Alexander the Great ever entered Mesopotamia where he conquered Medya and Persia. The Kurds purpose for celebrating Newroz has found a more important role than to welcome a new year and the growth of the grass which colour’s their fields and mountains – Newroz has become a symbol of hope and patriotism, which is derived from the story of Kawa who freed the Kurds in ancient times. The oppression that the Kurds have suffered and are still suffering from has transformed the theme of Newroz into celebration that represents freedom for greater Kurdistan as well as human rights for Kurds everywhere. While greater Kurdistan has been divided between four countries, it is on this day of Newroz that all four sides let go of forced influences by shadowing occupants of their lands and unite as one nation, under one flag, which flies proudly across their mountains that they call their friends. “The New Year’s day is today. Newroz is back. They die not. They live on in the heart of the nation”. Newroz has become a yearly dose of morphine for the Kurds, as it was revived after the Kurds were denied their own country through the treaty of Lausanne in 1923 by the League of Nations and Turkey. 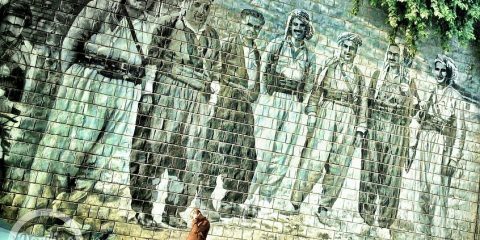 It found its full glory again as the Kurds fought for gaining their independence from the countries that occupied their Kurdistan, the land of the Kurds. While Kurds in the south and east had somewhat of free space to celebrate Newroz after some popular uprisings and the fact that Iranian customs also celebrate a form of Newroz, Kurds in the north and west which lies in Turkey and Syria had more trouble of expressing their heritage. Until the year 2000, it was banned in Turkey and each year as the people proudly went to the streets and traditionally jumped over fire and voiced their anger and frustration towards the governments that oppressed them caused riots and police brutality that in 1992 caused a major crackdown that left 50 young Kurds dead, and in 2008 more injured and two dead. 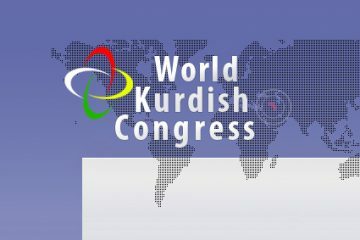 The tragedies that the Kurds have suffered goes far beyond that, through massacres, genocide and ethnic cleansing of the Kurdish people, the Kurds have experienced far more troubles that had placed a shadow over their future. With their culture ripped away from them, their language was forbidden and their traditions was seen as a crime in the eyes of those that wanted them to be tamed. While their leaders were exiled and uprising after uprising crushed by lies and deceit, they have yet not yelled to their occupiers. Newroz now is not only celebrated in greater Kurdistan, but also by the Kurds in Diaspora living in western countries. While the last few years the PKK has arranged the biggest Newroz celebration just under the mountain of Qandil, which Kurds from all four parts come to enjoy the celebration with their fellow Kurdish brethren’s. Kurds in western countries like Germany, America, and England have taken to the streets and raised the national flag accompanied with their traditional music and dancing. 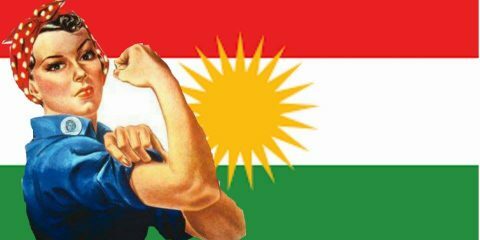 It is on this day that Kurds set aside their differences and the obstacles like borders and dialects, to stand next to each other, hand in hand, hoping and encouraging each other to fight and work towards a Kurdistan that can heal the wounds of the past. Here they teach the next generation that where ever part they may reside they belong to a group of people with a heritage going back thousands of years and to stand firm for the freedom they have the right to have. On this day the children play, learn the beauty of their music and join the rest in Halparke, where they learn to preserve the tradition and culture of a people that is now being occupied and supressed. The elders watch the beauty of the land and the smiles of the youth while they sync their body to the rhythm of the music, and feel pride of the struggles they have endured to again be able to celebrate this glorious day. Unfortunate for me I won’t be in Kurdistan this year, I won’t be wearing my Kurdish clothing that I have gotten used to wearing at Newroz each year. This year I will be staying in the Netherland, although 5000 km away from my birth place, I’ll still have some Newroz experience, as my nieces send me photos of their newest Kurdish dresses, and fight over the phone who would tell me where they might go for that legendary Kurdish Picnic. I too find the urge to see what kind of parties will be organized here, as my body itches to participate with my fellow Kurds in an energy thrilling Halparke, which always leave me with aches the next day. 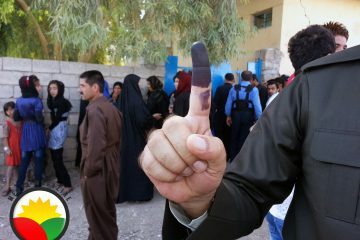 On this day as we long for the nature of the homeland, the land of Kurds, we feel connected to ourselves, it seems a cliché but we do feel united and stand together. May this year be full of joy and happiness and peace for the Kurdish people.